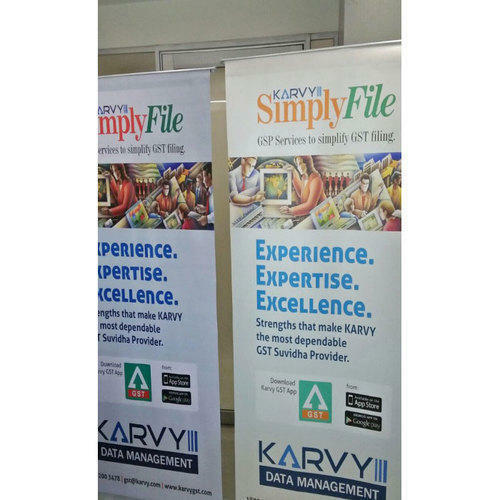 Leveraging the skills of our qualified team of professionals, we are instrumental in offering a wide range of Roller Banner Stand. Price Range: Rs. 700-1100/Sq Ft.